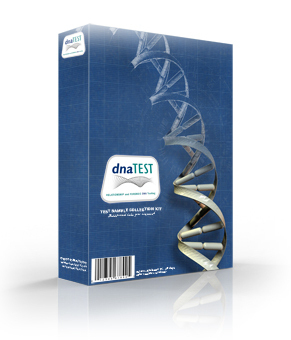 This test kit contains everything you need to obtain a fast accurate DNA test using some of the latest in DNA analysis technologies and methodologies in the world today. The DNA test works by analyzing a number of specific DNA regions in the DNA samples you supply to us. Each specific DNA region could have any one of a high number of different DNA sequences combinations. The true biological father of any child will share DNA types in each region tested. The true biological father of any child will share accuracy, resulting with two possible scenarios. We are also able test discrete samples. Understandably you may wish to test discreetly without unnecessarily upsetting a child with regards to the issues of paternity, not until perhaps after test results are known. We can test a toothbrush a snotty tissue, a cotton bud (used to clean the ear) or a used Band-Aid. We obtain DNA from the toothbrush in around 90 % of cases, and from ear-cotton buds in 99% of cases. All client information and DNA test results are strictly confidential. Results will only be issued to person’s who sign the sample submission form. A password chosen by you ensures further protection against unauthorized parties accessing results. If you want to test other relations for example, 2 men to see if they are brothers, or if you wish to test a grandparent and a grand child to see if they are related, please contact our offices to discuss the test you require, procedures and costs.